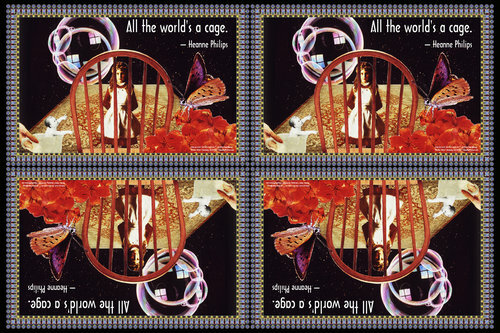 '060 Heanne Philips on Worldview (wallet print)' by Paul Marcus - DPC Prints! Quotation from Heanne Philips paraphrasing Shakespeare, with collage art and a border or frame of abstract digital art derived from a photograph. "Wallet Prints" are four 3"x2" images on a single 4x6 print.